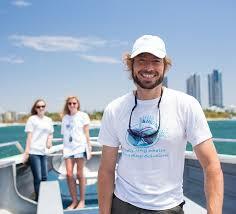 The team around Dr. Olaf Meynecke from Humpbacks & Highrises welcomes you to the experience of a lifetime. You are about to join world-class research and help to protect whales through our Healthy Whales research and monitoring program. Learn about humpback whales and other marine life including dolphins and turtles on the east coast of Australia in one of the fastest growing regions in Australia. While the numbers of humpback whales are still recovering from whaling, in the past years more and more whales have stranded. The underlying reasons and trends of this recently noticed issue is not fully understood. Through Dr. Olaf's research over the past few years he was able to link certain environmental conditions such as increased water temperature to changes in humpback whale migration. Such shifts likely result in longer migration times and consequently in deterred health. Dr. Olaf is one of the leading scientists in an international research project on the impacts of climate change on humpback whales. You will be able to assist Dr. Olaf to determine the causes such as shifts in response to ocean warming and find ways to determine whale health using new and exciting techniques and developing new whale friendly methods. You will be helping with the collection of important behaviour data, monitoring data, health assessments and assist with mucous collection, remote aerial surveys, skin sampling and tagging. If you want to learn more about the complex life of a humpback whale, Dr. Olaf encourages you to read some of HHR publications and other material that describes humpback whale behaviour. Dr. Olaf Meynecke will be your researcher on this expedition. 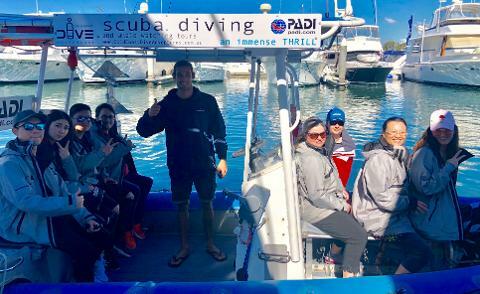 After living and researching in south-east Queensland for the past 12 years he has gained a detailed understanding of the surrounding marine environment and enjoy sharing his extensive knowledge with you. Dr. Olaf, his research assistant and your captain will ensure that you have an amazing and safe experience with some of the largest animals on earth whilst ensuring their future wellbeing. You will get closer to whales than anyone else and develop a true understanding of these magnificent marine mammals. The research vessel is a semi inflatable, 6m commercial vessel with shade canopy and powerful engine. It is ideal for research activities due to it's compact size and close proximity to the water. We provide courtesy, waterproof spray jackets and wet suits. Travel to and from the Gold Coast i.e. flights, train fares, bus fares etc. 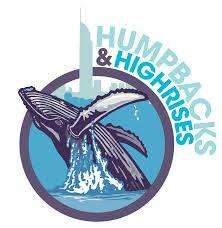 WHO IS HUMPBACK AND HIGHRISES? 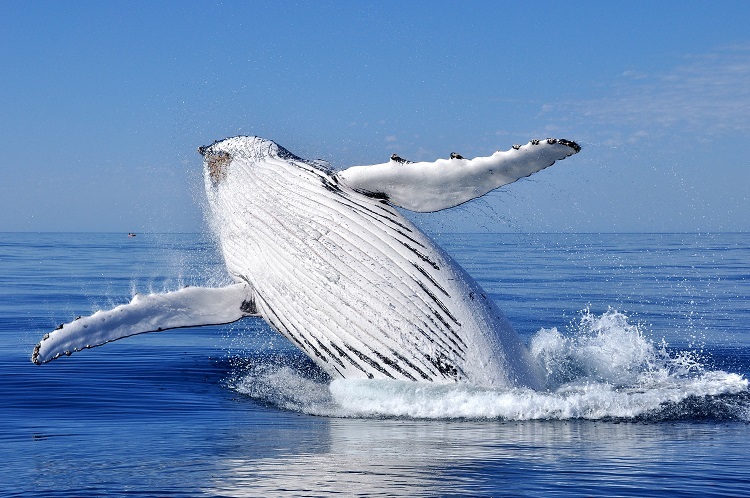 Humpbacks & High-Rises is an independent not for profit research organisation dedicated to the research and protection of whales and dolphins in south-east Queensland, Australia. We focus our research and adaptation strategies on coastal impacts caused by urbanisation for the benefits of marine mammals and our coastal community. A detailed itinerary will be emailed to you once you completed your booking. The below dot points will provide you with an overview of what to expect. You will arrive on Friday lunch time and attend the meet and greet session and presentations at Griffith University and also check into your accommodation. Saturday and Sunday you will spend on the water, conducting sampling and survey activities, followed by a land based survey on Sunday afternoon. The research concludes on Sunday late afternoon. A typical day of sampling and research starts between 7am and 9am then preparing equipment for the day’s activities and heading out to sea. The team will stay as one group with different tasks rotated over the course of the expedition to members of the team. You will return to your accomodation around 5:00pm each evening, giving you time to shower and relax before making your way for dinner. On Sunday night we conclude with an optional dinner and enter our data and exchange photos. Depending on weather we may undertake additional laboratory work and/or analyse data. Please read the terms and conditions on the check-out page in particular our cancellation policy.